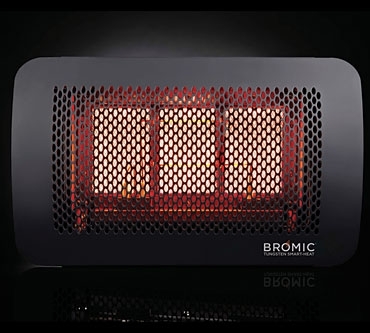 The Bromic Tungsten Smart-Heat 300 gas heater can heat an outdoor space of up to approximately 120 square feet, with up to 26,000 BTU/hour output. You can fix your Smart-Heat 300 to a wall or a black electro plated ceiling pole (sold separately) to provide your customers with a durable, stainless steel radiant heat source. Your Smart-Heat 300 is capable of operation in winds of up to 12.1 KM/h (7.5 MPH), and can be controlled from a remote location if you have a smart control system installed. Use the form below to request more information on Tungsten Smart-Heat Gas Heater 300, and a Kastle sales rep will get back to you as soon as possible. Fields in red are required.